An in-depth presentation of the proposed White Horse Pike Redevelopment Project will be presented to the public and the Barrington Planning Board on Monday before the board has an opportunity to vote. The presentation will include “all aspects of the plan from traffic engineering to what type of trees are going to be planted,” Borough Council President and Community Development Director Kirk Popiolek told the Bulletin in an email. “The plans will show the construction of a Super Wawa as well as plans for an intended restaurant use … The redeveloper is focusing on the many aspects that are required to get the site pad ready with the first user being Wawa. Once the site is cleared then they will begin actively recruiting a restaurant,” he wrote. The proposal calls for the Bell Avenue jughandle to be brought through the property redeveloped with a Super Wawa with a gas station, the addition of a traffic signal to allow traffic to cross the White Horse Pike more easily and placement of a turning lane from the pike to Copley Road, as stated in last month’s planning board meeting. 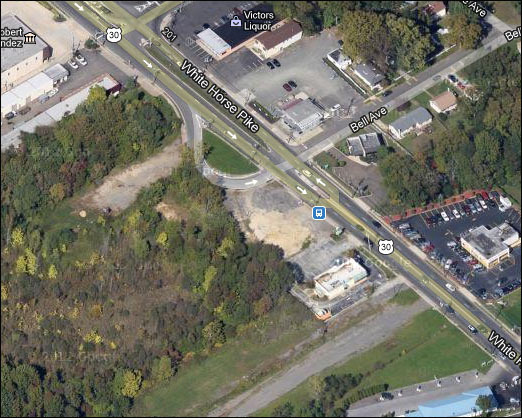 The turning lane would require the borough to take part of the property in front of Victor’s Liquors and the former Dante’s restaurant. The proposed restaurant would be a 10,000-square-foot “high-turnover restaurant” with a liquor license. The meeting is scheduled for 7:30 p.m. Monday at borough hall. 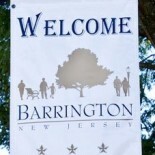 This entry was posted on April 19, 2013 by Barrington Bulletin in Borough Hall, Business / Money, Region and tagged white horse pike redevelopment.